A big-hearted Donegal family has spearheaded a major fundraising campaign to save other lives after they were touched by suicide. 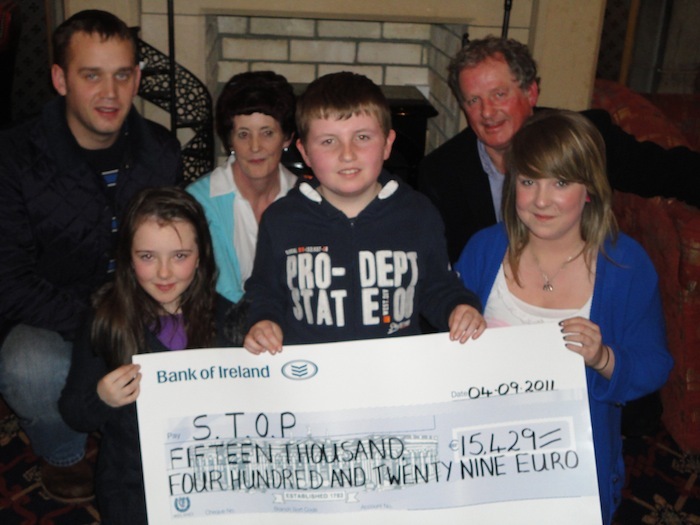 The McCaffrey family from Ballintra have just handed over a cheque for almost €16,000 to the suicide help group S.T.O.P. 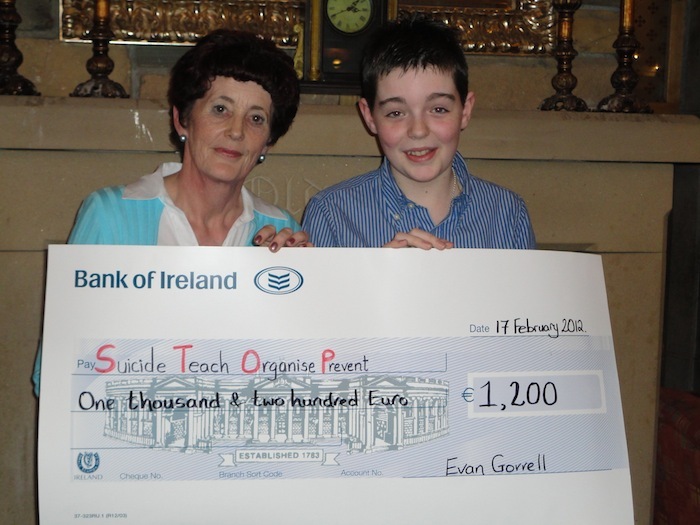 S.T.O.P (Suicide, Teach, Organise, Prevent) spokesperson Mary McTiernan said there is no question the money will save lives. The group provides ongoing support and counselling services to may people who feel overburdened and weighed down by everyday life. She paid tribute to the McCaffrey family who lost a close loved-one four years ago. Others to assist STOP include Martina O’Donnell and Evan Gorrell from Donegal Town who have also done marvelous fundraising work. Ms McTiernan, a co-founder of STOP said “I have no doubt that the money presented to our organisation will save many lives and quite frankly, it doesn’t get much better than that. 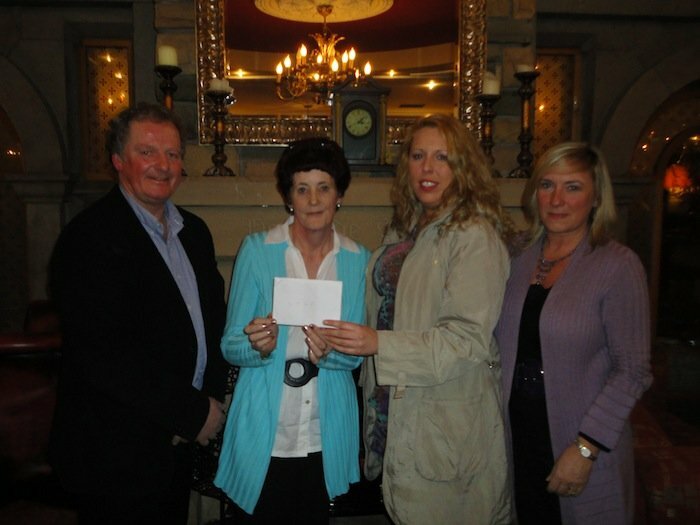 “The McCaffrey family from Ballintra have been particularly supportive. I don’t know what I’d do without them,” she said. Pictures by kind permission of Seanna Kane.